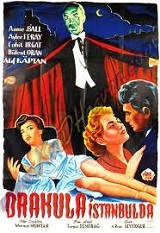 Azmi (B�lent Oran), a lawyer, arrives by train to Bistric on a mission to house the mysterious Count (Atif Kaptan) � who is referred to by many names - Drakula/Drukala/ Draquell/Dracula � in Turkey. Also stars Annie Ball, Cahit Irgat and Ayfer Feray. (In Turkish language, with English subtitles).